Go on, tell me how much you love fat. If you’re anything like me you look for excuses to eat more avocados. One of my new fatty favs however, is ghee. Creamy and dreamy. If you haven’t heard of ghee before, I am about to introduce you to one of the most delectable culinary treats. You’re welcome. Ghee has been used in Ayurvedic Cooking for centuries and was first developed to make a shelf stable butter in the warmer climate. Basically, it’s just butter, heated so the lactose and casein are removed (so those with dairy sensitivities may be able to enjoy it!). 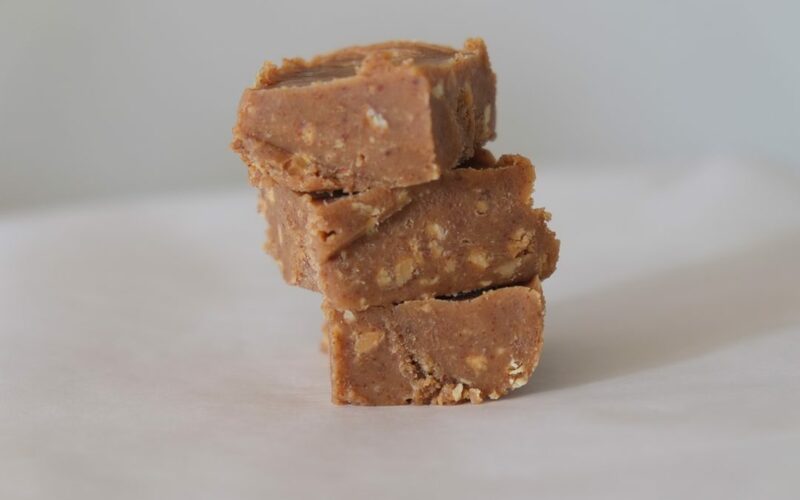 When it is heated it gains a rich, golden hue and a delicious nutty flavour. Ghee is now gaining in superfood stardome because of its healing qualities. High in fat soluble vitamins A and E as well as conjugated linoleic acid from grass fed cows. Conjugated linoleic acid has been shown to help with insulin sensitivity in children and can also benefit those trying to lose weight. 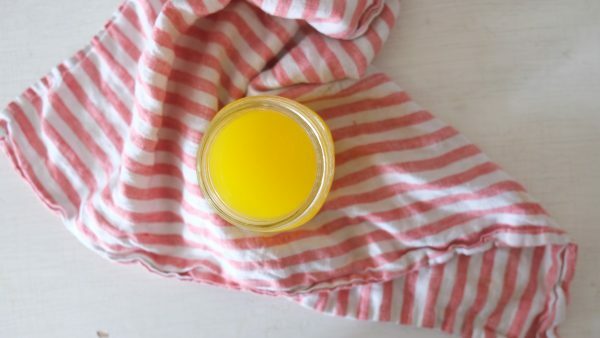 Ghee is full of short and medium chain fatty acids, much like coconut oil, and can be used directly as energy- making it great pre-workout fuel. As we have now learned that low fat diets are a thing of the past and were introduced into US and UK guidelines based off of no credible evidence can we all agree that it’s ok to fatten up on the dinner plate? Fats have so many important roles in our bodies including; keeping you full for longer, helping to balance out those hormones as well as nourishing your skin. Because of this we must consume high quality which means grass fed, organic and cold-pressed where applicable. 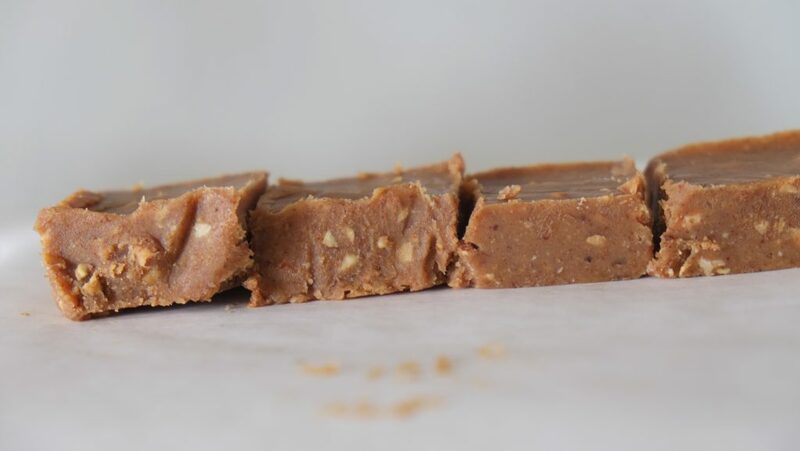 I am sharing with you today a super simple treat that is packed with fat so it makes it hard to overindulge. 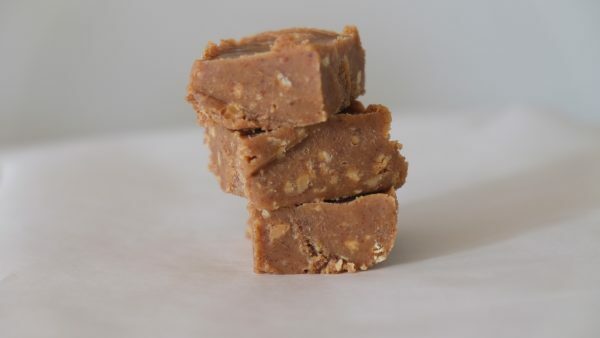 This almond butter fudge is the perfect little pre workout fuel or energy pick me up. Bring the butter to a low simmer and let it cook for about 15-20 minutes. As it’s simmering white foam will come to the top. I like to skim it as it cooks or you can wait until the end and strain it. Once the butter has turned a golden colour and the foam has separated and starts to brown you can pour the liquid through a nut mylk bag or cheesecloth into a glass jar. Spread on your favourite muffin, use in your elixirs or eat with a spoon! 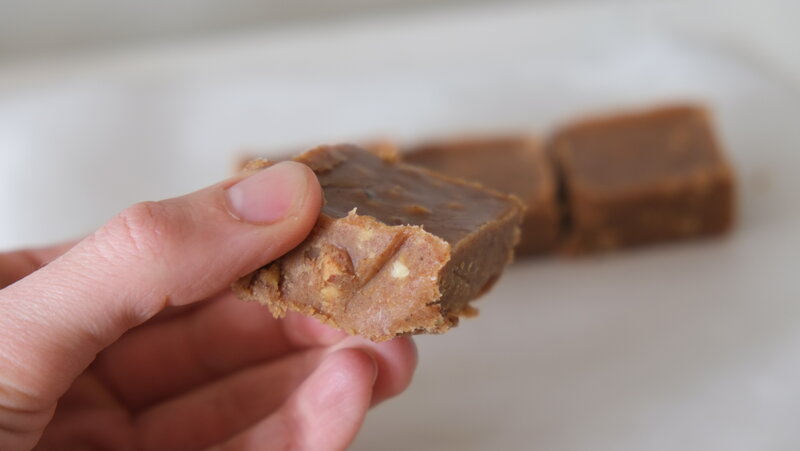 This creamy fat fueled fudge is the perfect snack to boost your energy at the 3pm slump or before a workout. Melt the ghee and cacao butter in a small pot over low heat. Stir often so as not to burn it. Mix in the vanilla, cinnamon and sea salt. Pour into a greased loaf pan and put in the fridge to set (or the freezer is you’re impatient ;). once hardened cut into little squares. These are best stored in the fridge and are enjoyed straight out of the fridge!